The highly anticipated MICHELIN Guide Chicago goes on sale next Thursday, but the star selections were announced today. Twenty five restaurants have made the list, two of them of the highest distinction at 3 stars - longtime recipients Alinea and Grace. There is one newcomer among the four two-starred restaurants, Smyth, in the West Loop. Nineteen places have been designated at one star with two of them new to the list, Elske and Entente. Read on for the full press release and list of Chicago recipients. CHICAGO, Oct. 20, 2017 – Michelin today announced its highly anticipated annual star selections for the eighth edition of the MICHELIN Guide Chicago 2018. This year’s selection highlights 25 establishments that have been awarded one or more Michelin stars. Alinea and Grace, respectively led by chefs Grant Achatz and Curtis Duffy retain three stars, the highest recognition offered by the guide. The restaurant Smyth located in West Loop, earns two stars for 2018. Owned by the talented husband and wife John Shields and Karen Urie Shields, Smyth, which can be found upstairs from the dual concept Smyth & the Loyalist, offers a unique and inventive cuisine. In total, there are four restaurants awarded two stars in the MICHELIN Guide Chicago 2018. Among them, Sixteen, located in River North, retains its two-star distinction after a change in the kitchen. The new Chef Nick Dostal has taken the menu in a new direction with influences of France, Italy and Asia. 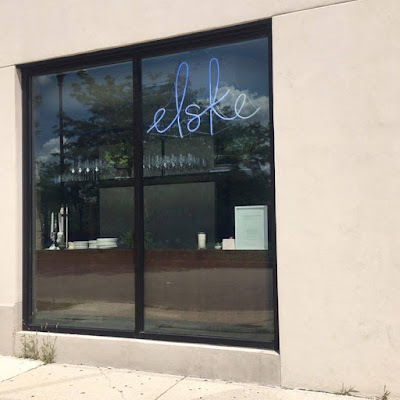 Chicago is home to 19 one-starred restaurants, of which two are new: Elske and Entente. Danish for “love,” Elske is the newly opened venture of husband-and-wife team chefs David and Anna Posey. Both have experience at Michelin-starred restaurants in Chicago, and together they have created a unique and striking experience in the West Loop, mixing Scandinavian and contemporary American influences. At Entente, which means “friendly understanding,” guests are invited to a service of high quality food and delectable cocktails. Chef Brian Fisher unites with pastry chef Mari Katsumura and owner Ty Fujimura for a creative yet classic menu that changes based on inspiration and input from the team. The MICHELIN Guide Chicago 2018 goes on sale Oct. 26 at a suggested retail price of $18.99.